Please Note: The Lakefront Cabins (Beds for 5), ADA Cabin (Beds for 3), and the Floating Cabins (Beds for 4), do not have sofa sleepers, only sofas. 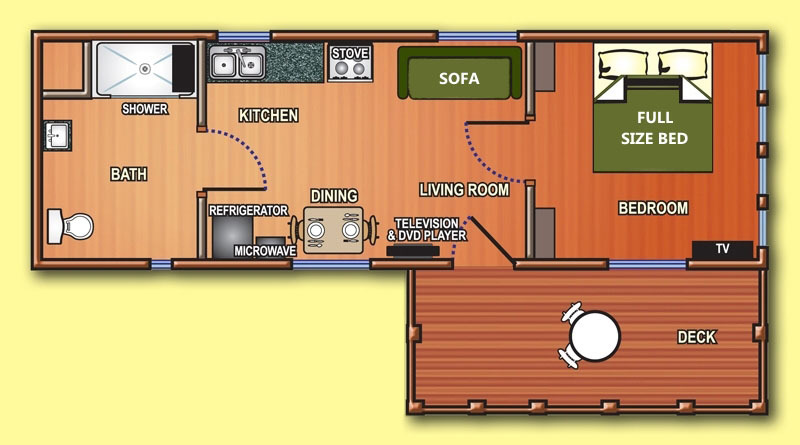 The Floating Cabins have a full-sized air mattress located in the ottoman next to the sofa. For a full list of what is included with each cabin rental see What’s Included.